Granite countertops are among the most exquisite and popular finishes throughout Utah County. They are a mark of luxury that every homeowner would like to install in their kitchen. From Nephi to Lehi, From Sundance to Eagle Mountain, Granite Countertops of Utah has the Utah County covered in beautiful granite countertops. It is no different in Utah County. There are extremely beautiful granite countertops in Utah County crafted by professional craftsmen in Utah. It is a job where extreme alertness is needed to every tiny part of the granite. Two to three decades ago, these granite countertops were only seen in high end homes. The average homeowner could only dream of owning a home with exquisite granite countertops. But, with the advancement in technology and the economic prosperity around the globe, owning a kitchen fitted with exquisite granite countertops are not a dream anymore. Most of the contemporary homes in the USA are fitted with the finest granite countertops. Granite is a naturally available substance, and all the hard work is involved in the cutting and shaping of it. There is no manufacturing process of granite, as such. The beauty of the granite stone is derived from how the stone is cut. The different types of cut to the stone is what makes it special and exquisite as a countertop. This is where the craftsmanship skills of a professional craftsman in Utah will come into effect. The job is not easy by any means, it takes real patience and the highest quality of professionalism in order to manufacture a countertop that would please the eyes of the observer. This is how the best granite countertops Utah county are produced. The granite countertops blend with most backgrounds and ambiances of any house. Granite is a natural material and the choice of colors are limited due to this. But, the available colors can be matched to any ambiance. A textured look is possible by torching the granite. 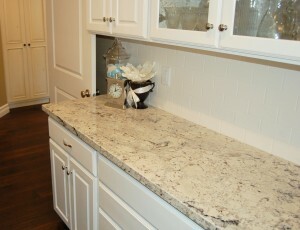 Rounded edges will give the granite countertop a tumbled look. Different designs will make the granite countertops look more distinct and more appealing to the observer. The granite is honed by skilled craftsmen in Utah in order to give it a smooth appearance plus an exquisite finish. Two pieces of granite are not going to be the same in any way. Ordering a countertop without personally seeing the granite is not a sensible idea. You may get a completely different countertop delivered to your home in such a situation. You should personally visit the contractor, who produces the best granite countertops Utah county and show him or her the exact granite that you need the countertop crafted. This way, you are sure of getting an exquisite countertop that will beautify your kitchen for decades. If you landed on this page, you are most probably looking for kitchen countertops that are installed in Utah. You have arrived in the right place, but have you ever considered what does it take to make granite countertops, for instance? In order for a piece of granite to end up in your kitchen, it has a long journey ahead. Everything starts with the quarry, where huge blocks of granite are dismantled from the mountain with the help of powerful explosions. Those giant blocks of rock are then sliced into slabs. You can imagine the precision that’s needed in order to make those slabs evenly thick on their entire length. Choose your granite in Utah from hundreds of colors and patterns. Each one is unique. You may think this is it, so now you can go there and choose one for your countertop. This is wrong. After being cut, granite slabs need polishing, so they are transported to the polishing machines where they have to spend quite a while until they are all glossy and nice to the touch. They are now packaged and shipped to their destination, which is not your home just yet, but our warehouse and our showroom. At this stage of the process, you come to us and select your desired color. Then our team of specialists will come to your home and take all needed measurements in order to prepare the templates that will eventually help in cutting the granite slab into the shape that perfectly fits your kitchen. This process is done on the computer, therefore you can rest assured of the high precision and excellent coordination between the computer and the CNC machine. CHC machines are able to cut, shape and profile a kitchen countertop in as little as a few hours. Kitchen countertops Utah are made this way, therefore their quality is the best. The next step is installing the countertop in your kitchen. Granite is extremely heavy, therefore this is not a do-it-yourself job. It requires special handling skills as well as a lot of strength, so it’s always a good idea to let our skilled staff install your countertops. In case the countertop is made from two pieces, they need to be assembled together. We use a special adhesive resin and a color pigment that makes it look just like the stone, so the seam becomes invisible to most people. Everything is done with the greatest care possible, so you can be sure you have the best kitchen countertops Utah right in your kitchen. Granite countertop pricing in Utah can be relatively cheap. Granite blocks are a true gift of nature, within its hardness second to diamond. Granite blocks are used to make countertops from the natural materials, which last longer than man made and synthetic blocks. In addition to this granite countertops are naturally beautiful and can withstand enormous heat amounts comfortably. If you want to renovate your kitchen with a stylish kitchen countertop, Granite Countertops of Utah can offer you very cheap and stylish ones to fit your needs. The cheap granite countertops Utah is of very high quality and designs and will give more value for your money. There are many reasons why granite countertops are everyone’s favorite. These cheap granite countertops in Utah have been worked on for a smooth texture with an almost mirror look and feel. You can also order a custom made countertop based on your needs from the company, and be assured to get it as per your needs. Granite countertops also offer great resistance from excess heat and stubborn stains, thus an easy way to keep the countertop clean, always. Granite made countertops will give your kitchen a posh and luxurious look and feel, making it attractive to both you and visitors who come by. This will make everyone who comes to your kitchen envious; not knowing you bought these at very cheap prices. Reasons to use Granite Countertops of Utah . 1. Naturally imported granite: Although there may be counterfeit countertops in the markets today, you can be assured of quality here. 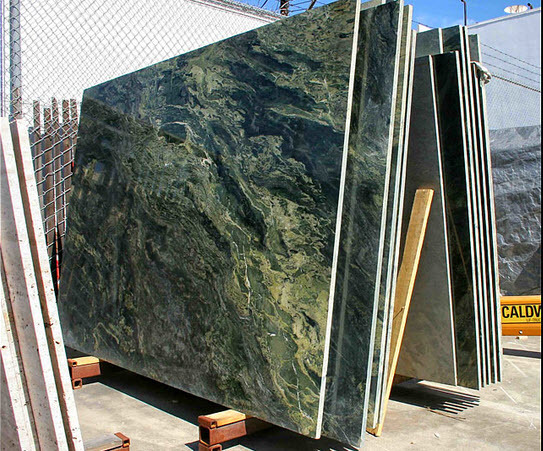 The company imports freshly mined granite plates from all over the world just to make customer and clients happy. The company also understands risks involved with selling fake products, hence the reason why it offers only the best. 2. Pure granite countertops at cheap prices: With Economies tumbling down and many people having to struggle for cash, most of these persons cannot find enough money to buy good quality countertops. Nevertheless, you can find cheap granite countertops Utah to furnish your kitchen and home. 3. Makes customized countertops: Not everyone loves the generic rectangular or circular countertops. Some people love having the countertop customized and designed as per their needs, and the company offers more than that. You can make an order and indicate the type of customizations you need, and have it done in less than 3 days. 4. Each countertop is grafted carefully: The professional behind customizing these countertops employ much of their time to give you the best countertop you can find. They have a keen eye of detail to ensure not a single countertop has a flow. Granite countertops are among the most expensive in the market, finding a company that can give you same quality at reduced prices is tedious. It is due to this reason that Granite Countertops of Utah has built such a great reputation throughout Utah.